With pretty much every genre of music the drums are the backbone, holding everything together and providing the groove. And for many electronic music producers, drums are often the starting point when beginning a new track, so getting them right is crucial. Without further ado, here are our ten top beat production tips to help set your drum programming apart from the crowd. While quantisation is massively useful for tidying up less than perfect recordings, it’s certainly a double edged sword. Rigid quantisation is a sure-fire way to strip your beats of their groove and feel. 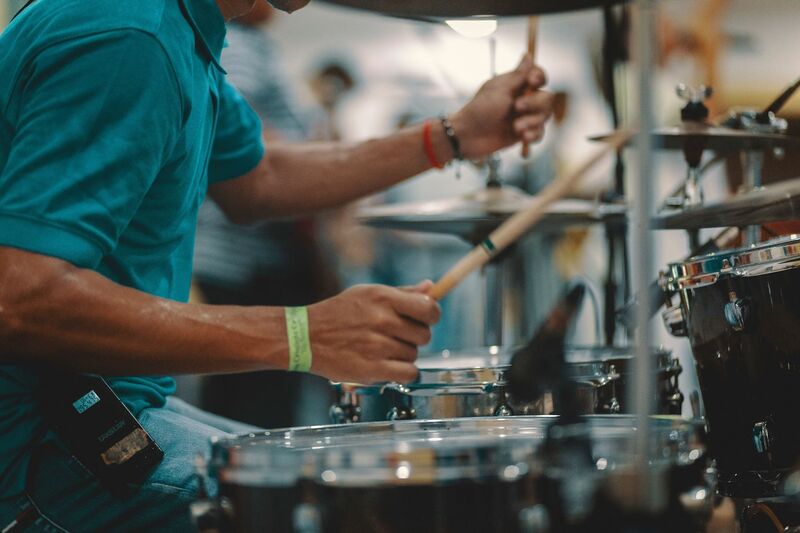 As with a lot of the tips on this list, it’s really worth considering how a human drummer plays, regardless of what genre of music you’re making. Even the best drummer in the world won’t be able to play perfectly on the beat all of the time, and it’s often these slight deviations which give drum beats their human feel. Also, drummers often purposely play with where their hits are placed in relation to the beat. Pushing slightly ahead of the beat will make your drums feel more urgent, while placing the hits slightly behind the beat results in a looser, laidback feel. Some genres, such as hip hop, lend themselves to more off kilter drums, while for others, tight quantisation is more of a requirement. Try experimenting shifting your beats slightly off the grid and see how it works for your music. For inspiration check out J Dilla or Burial, both great examples of the power of un-quantised drum beats. Consider a human drummer again, even for the most consistent, every hit will be slightly different, varying in tone and volume depending on how hard the hit is and where on the drum the stick makes contact. These small variations help towards the drums sounding live and organic, something which is lost when using drum machines or drum samples, where every snare hit is identical. Simply by varying the velocities of your drum hits you can breathe a bit of life into your beats. It’s a subtle effect, but can will definitely improve your drum programming. This can be particularly effective on hi-hats and shakers which have a tendency to sound unnatural if they’re all the same velocity. Too many novice producers simply get lazy when it comes to programming their drums. They’ll come up with a beat they’re happy with and then just copy and paste the beat to last the entire length of the track with very little variation. But no human drummer would ever do this, they’d simply get bored! It doesn’t have to particularly complex, but an extra kick every now and then, or a drum fill to lead into a new section can make all the difference and help your track to sound just that bit more professional. Unlike drum machines, human drummers are limited by the number of limbs they possess, no matter their level of skill, no drummer is going to be able to hit the snare, floor tom, hi-hat and crash at the same time. But this isn’t something that a lot of producers consider, and instead they’ll keep layering drum parts, ending up with something that sounds cluttered and confusing. Just ask yourself, could a real drummer play this? If not then consider making some changes. You might have found a great, fat, subby kick sound that fills out the low end of you mix perfectly, but it’s missing the attack needed to cut through your mix or be heard through less than ideal speaker systems. Your best bet is to search for another complimentary kick sound which isn’t so heavy in the low end but instead contains the higher end attack that your initial kick sample is missing. This is a common trick in most genres of electronic music, especially where huge drum sounds are a necessity. Just be aware that layering drum sounds can result in unwanted phase cancellation which can make your drums sounds less powerful, so make sure to check for this and if necessary flip the phase of one of the samples or drag it very slightly out of time to combat any phase issues. For the majority of electronic producers, programming their drums is their starting point. They programme a beat as the foundation of their track and then build everything on top of this. But many amateur producers will create a beat they like, move on and finish everything else without returning to the drums. Something that will really help give your tracks a solid sense of cohesion is interplay between the different parts. Once you’ve laid down a few more layers, try returning to your drums and see if there’s any way you can make them fit with any of the new layers better. Perhaps see if you can add in a snare hit to emphasis a chord change for example. There’s a lot of debate over this one, some producers will swear by pitching their drums to match the key of the song, while others won’t ever tune their drums at all. The truth is that whether or not tuning your drums can really depend on the type of music your making and the type of drum sounds that you’re using. For example, boomy 808 style kicks with a lot of sustain have a very definite pitch, and if this clashes with the key of the song, then it’s going to sound strange. You can run your kick through a tuner to find out what note it is and then pitch shift it to whatever note you want it to be, but it’s probably best to do this by ear, as tuners often become more unreliable when applied to lower pitch sounds. However tuning low frequencies by ear can be difficult too, so a useful trick is to pitch your kick up an octave or two, then you can adjust the fine tuning control on your pitch shifter so that the kick sounds right with the rest of the track. Once you’ve got it sounding good, simply shift it back down to its original octave, but keeping the fine tuning control at where you’ve now set it. 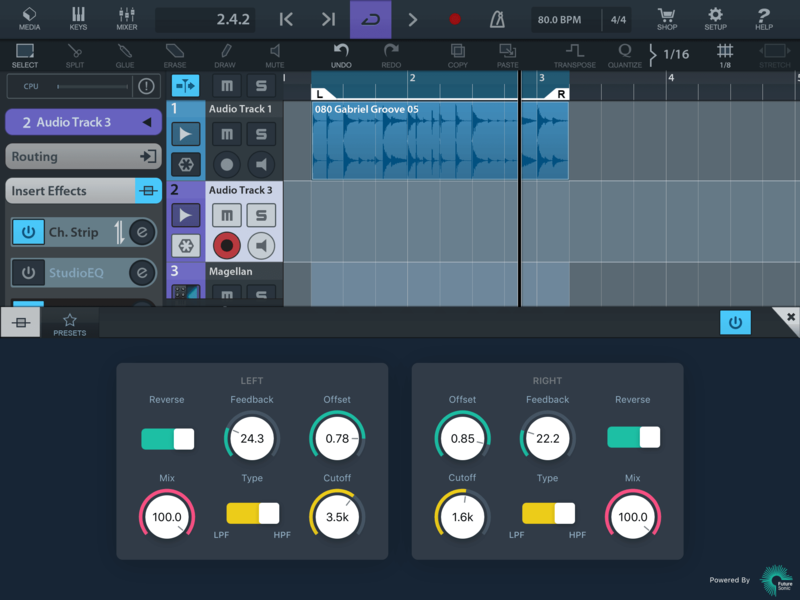 While there’s absolutely nothing wrong with building your beats entirely out of one shot samples, adding loops of live recorded parts can really help to breathe some life into your beats. adding just one live recorded element into your beats can really help breathe some life them. This could be as subtle as adding a live shaker loop or as obvious as building your beats around samples of classic drum breaks. It’s often the higher frequency elements of the drum kit which really help to add groove to a beat such as hi-hats, shakers and other percussion. To take advantage of this, try high passing a live recorded beat to remove the kick and snare and then layering this over your own kick and snare patterns. Feel free to chop up the live recordings and re-order them to make something that fits your beat better if necessary. Adding a stereo delay to your hi-hats is a super easy way to add some movement and stereo width to boring, straightforward parts. Try using a delay that you can sync to the tempo of your project and experiment with different delays, dotted rhythms in particular are an easy way to make your beats just that bit more interesting. While finding complementary samples can be a great way to create full sounding drums, there may be times when you find that your kick is lacking the punchiness that you want, or maybe the snare just doesn’t have enough sustain. Fear not! Thankfully this can be fixed with a little help from a transient shaper. These are dynamics based tools and work in a similar to compressors, so there’s often a bit of confusion around how to two differ. The main difference is that a compressor will only kick in on transients that are over the threshold volume, while a transient shaper will affect all transients, regardless of volume. This makes them perfect for transient rich sources such as drums, where you can easily increase or decrease the attack or sustain portions of your sounds. Armed with these 10 beat production tips you’ll be well on your way to constructing more professional sounding drums in no time!